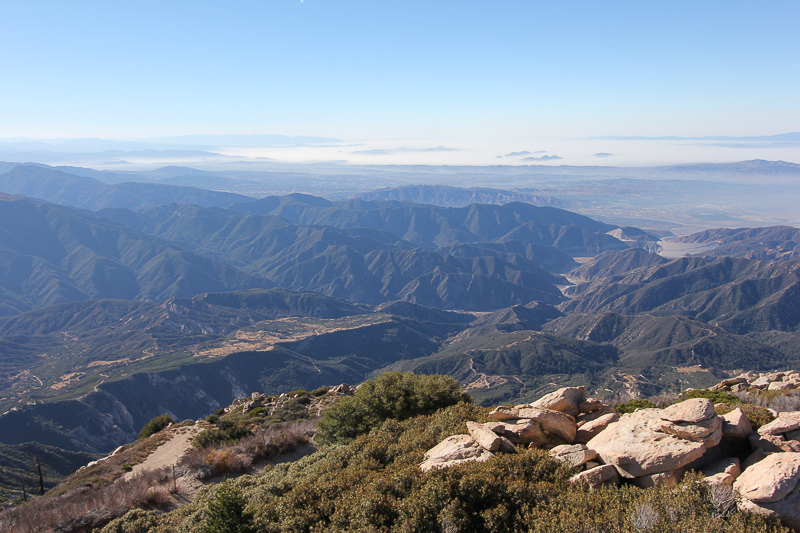 October 25, 2013 - Today's adventure was a spur of the moment trip to the Keller Peak Lookout in Running Springs, CA. 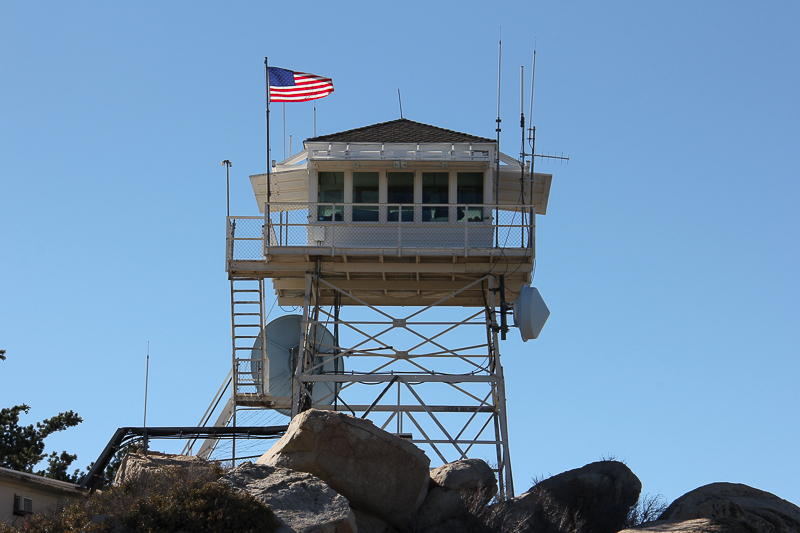 Keller Peak is one of seven fire lookouts guarding the San Bernardino National Forest. 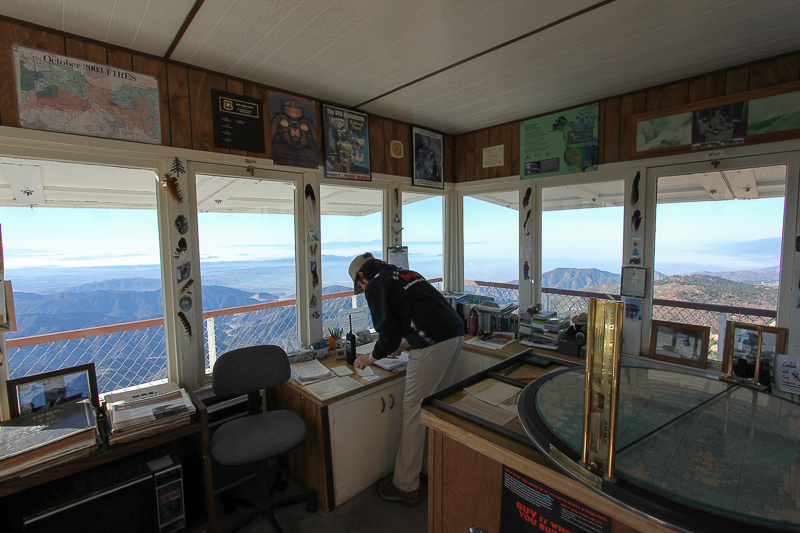 Each lookout is staffed by volunteer "Fire Lookout Hosts" who, from May through November, educate visitors about the history of the lookouts, mountain ecology, spot fires, and keep the lookouts a vibrant part of our local mountains. 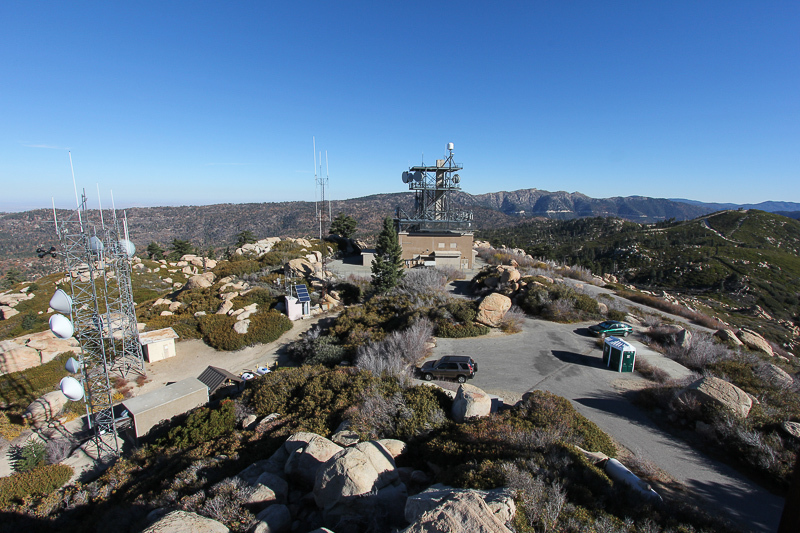 The Keller Lookout shares its mountaintop space with a communications facility. 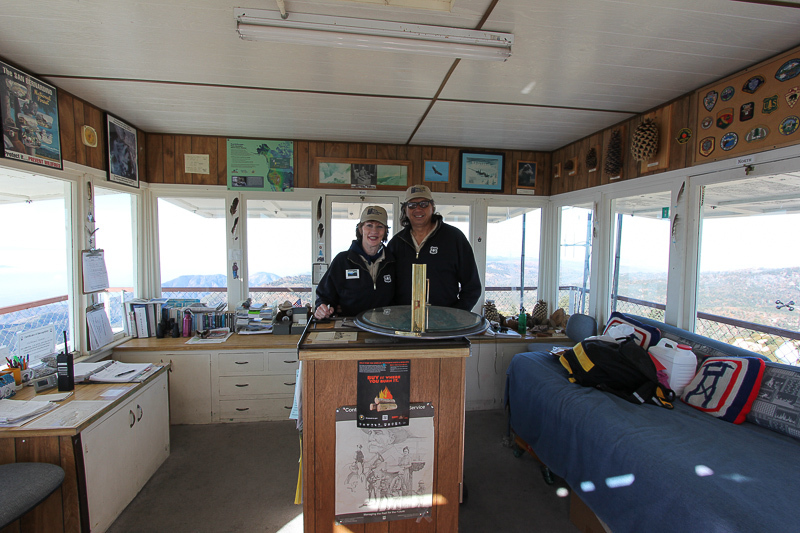 Our "lookout hosts" today were Donna and Ron, who have been volunteering at Keller for four years. 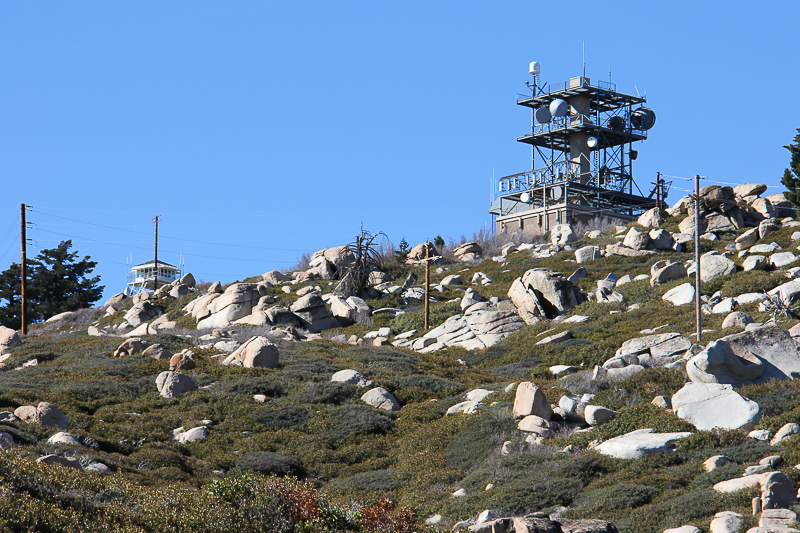 The Osborne Fire Finder is located in front of them. 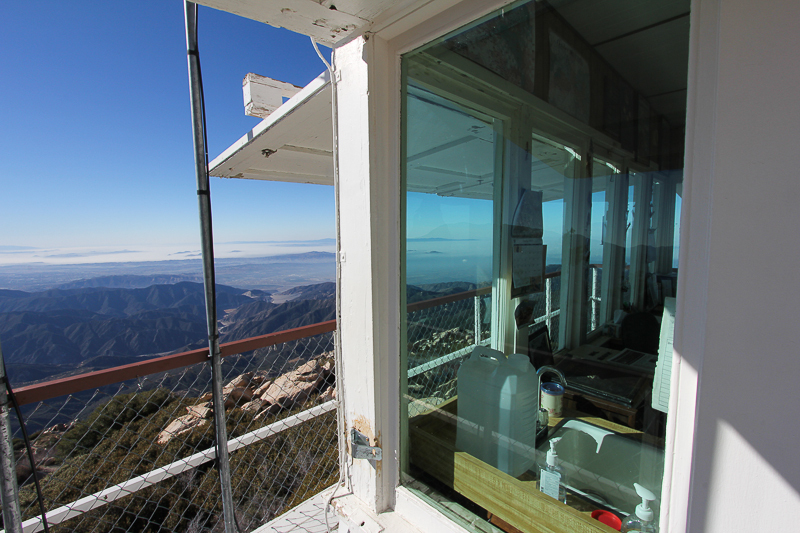 These lookout hosts know how scenic their office views are. 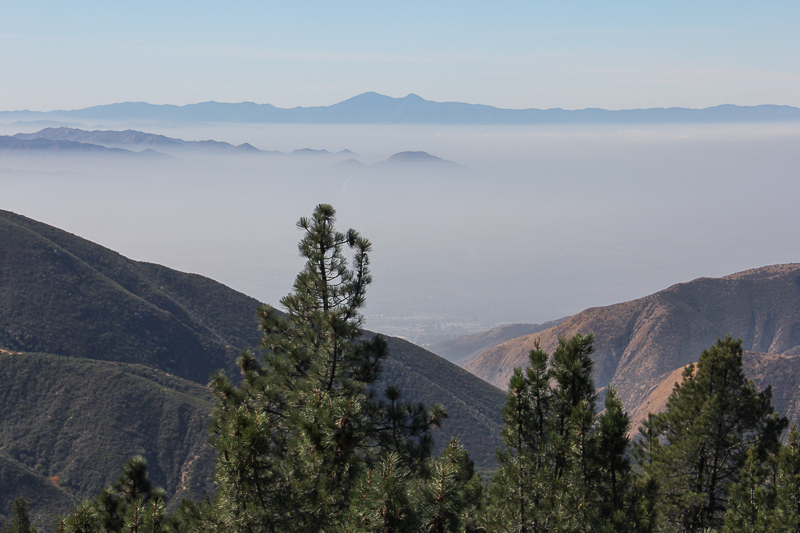 When we left Redlands, the whole valley was shrouded in fog. 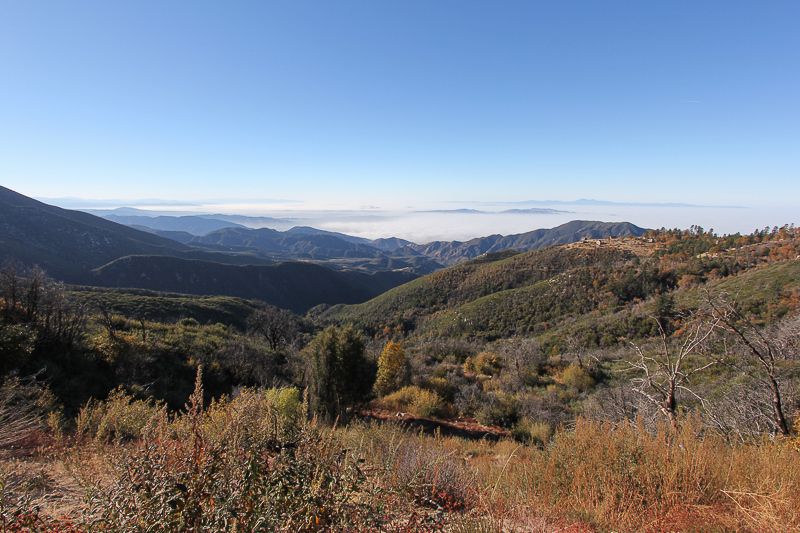 However, once we climbed to 2,000 feet, the sun was out and everything was clear. On our drive up a large coyote crossed the road in front of us and then it climbed some rocks to check us out at a safe distance. The elevation of the Keller Lookout is 7,900 feet and the views are spectacular! 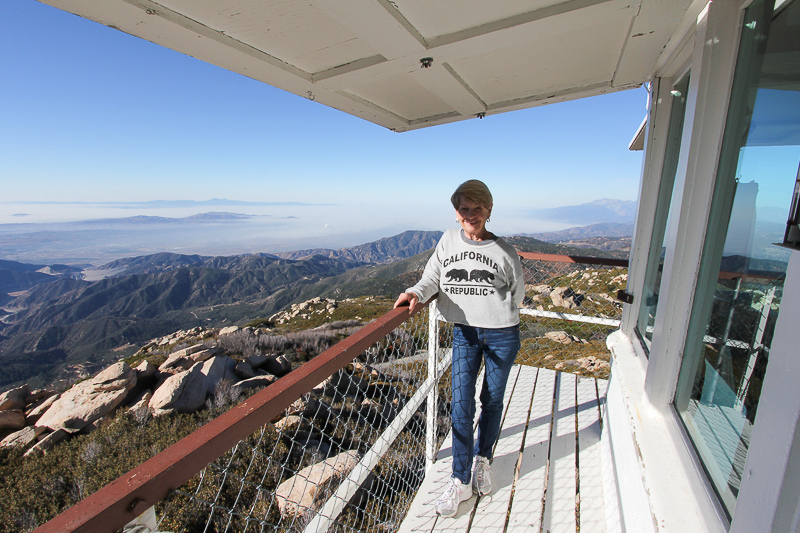 Judy didn't have any vertigo problems today and was quite relaxed up on the tower. On the way back to Redlands, we stopped for a steak bomb sandwich at Rocky's Road House in Running Springs. Their sandwiches are delicious and huge, so we left with leftovers for tonight. Thanks again Donna and Ron, you guys gave us a great tour.